Easy Vegan Mac and Cheese that comes together in only 25 minutes for a simple meal any night of the week. 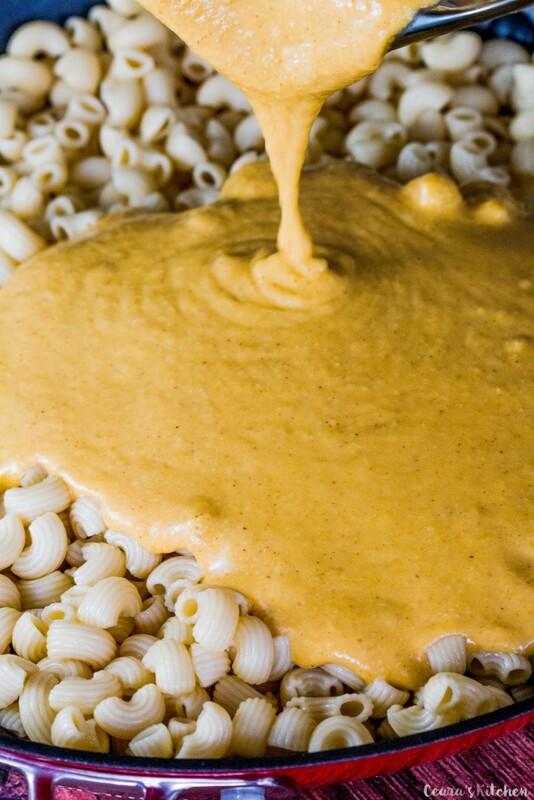 Gluten free macaroni is covered in a rich and creamy cheese sauce. 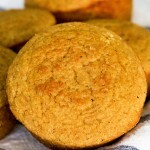 Serve with steamed broccoli or a side salad for a complete meal! 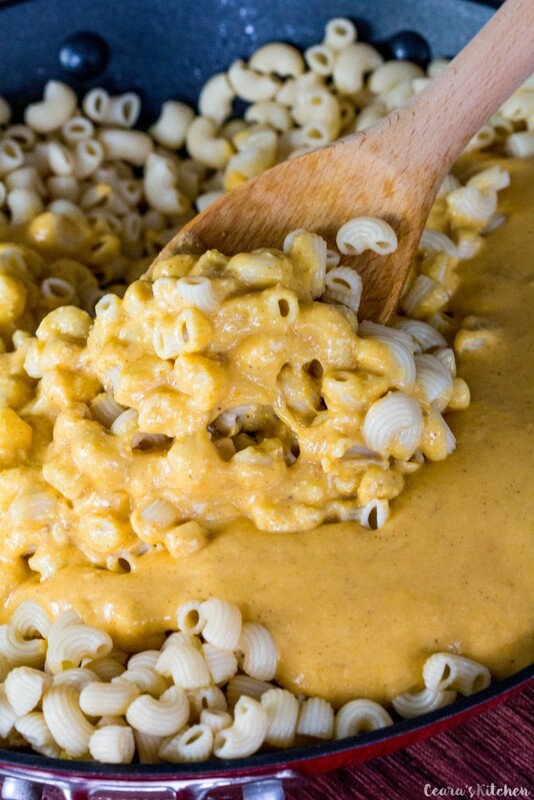 Cold weather, warm(er) weather… it all calls for COMFORT FOOD like this Easy Vegan Mac and Cheese that is ready in under half an hour from start to finish. I made this easy peasy Mac and Cheese for dinner a few weeks ago and I’ve been making it at least once a week ever since (and enjoying the leftovers for lunch the next day, ha!). Stir it all in…. look at that VEGAN CHEEEEEEEEEESE! I use brown rice macaroni in this recipe but you can really use any pasta your heart desires with this Easy Vegan Mac and Cheese. I’ve been cooking more and more with brown rice pasta and I’ve been super impressed by the texture it yields in pasta recipes. 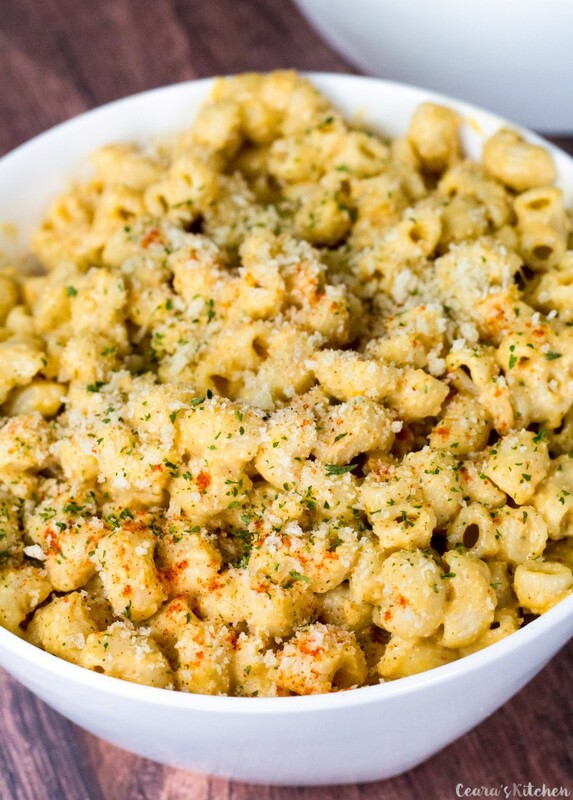 I also love to make this Easy Vegan Mac and Cheese with pasta shells, penne or even rigatoni. Sprinkle with paprika (I love to used smoked), parsley and panko bread crumbs to serve. If you whip this Easy Vegan Mac and Cheese up at home, leave a comment below or snap a photo and tag me #CearasKitchen on instagram – it makes my day hearing your feedback! Bring a large pot of salted water to a boil. Cook and drain macaroni while preparing the mac and cheese sauce. Add potatoes, white onion, garlic and cashews to a large glass microwaveable bowl (I use my pyrex bowl). Add about 3 cups of water, just enough to cover the ingredients, and microwave on high for 3 1/2 minutes (see notes for stove top version). Add the frozen cubed butternut squash. Microwave in 1 minute increments until the potatoes are soft when poked with a fork (the amount of time will depend on your microwave – mine took 6 minutes in total). Drain the remaining liquid from the vegetables. You can either use a high-speed blender or an immersion blender for blending. Add the vegetable broth to the vegetables and blend until creamy. Add nutritional yeast, tahini, lemon juice, apple cider vinegar, miso paste (or soy sauce), paprika, mustard powder, nutmeg and hot sauce to the sauce. Blend until are the ingredients are combined. Taste and add additional salt, pepper and hot sauce to taste. Add a pinch of yellow curry powder if you want a bit of a kick! Pour sauce over cooked macaroni. Stir well. Garnish with panko breadcrumbs, smoke paprika, parsley and nutritional yeast. 1) It is very important to use frozen and cubed butternut squash in this recipe. You can find frozen butternut squash in the freezer aisle of the grocery store. 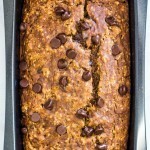 Pumpkin also works in this recipe. [br]2) Do NOT leave out the hot sauce – it brings the flavors of the sauce altogether. [br]3) Use smoked paprika instead of regular paprika for a “smokey” mac and cheese. [br]4) I leave the skins on my potatoes and just make sure to blend the sauce really well. You can peel the potatoes if you prefer. 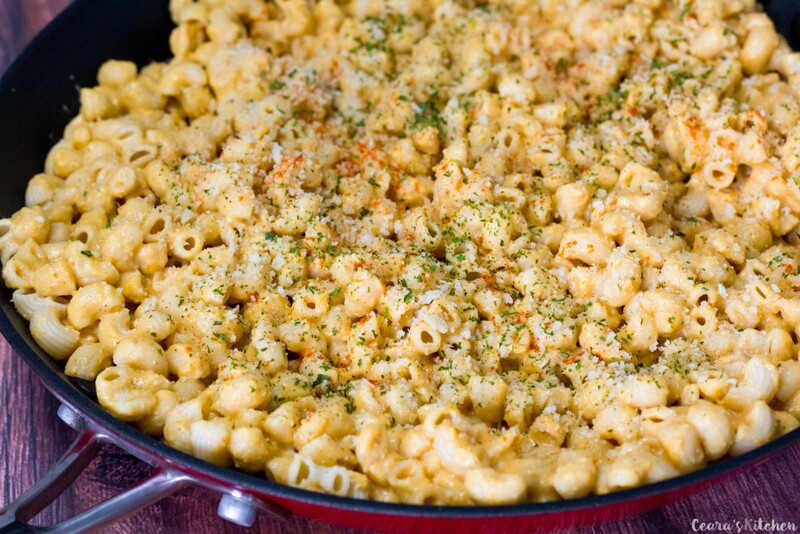 [br]5) This recipe makes a lot of sauce because I love my Mac and Cheese really saucy! If you prefer a “dryer” mac and cheese – store a bit of the sauce in a sealed container in the fridge. It keeps well and tastes delicious over vegetables the next night for dinner. [br]6) [b][u]Stove top (no microwave) version[/u][/b]: Follow the directions except boil the potatoes, cashews, onion and garlic over high heat until the potatoes are almost soft. Add the cubed squash and cook until the potatoes are soft when poked with a fork. Drain and follow the rest of the recipe steps. 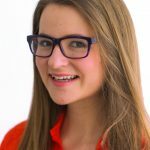 Why frozen squash? If I have a fresh one, do I need to modify or freeze it? Thanks for this recipe, I’ll be doing it soon. What can I sub for cashews? We’re allergic to all nuts! What can I sub for the cashews? We’re allergic. 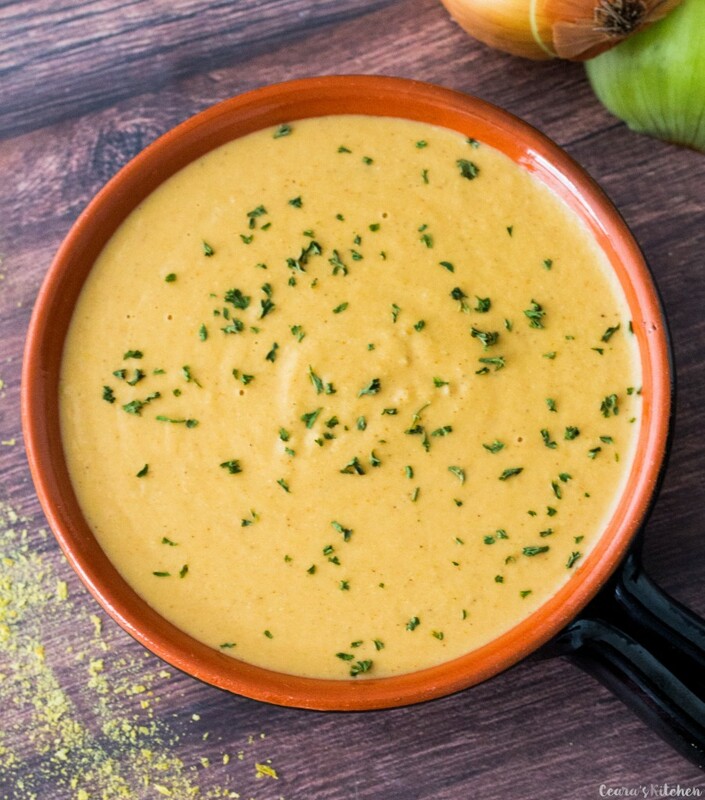 I made this recipe and it is my favorite cheese sauce by far out of the ones I tried. I love that it is oil free and really light. I poured it over chickpea pasta and wanted to lick to bowl. I’m going to use the extra sauce in a potato au gratin. So happy you enjoy the cheese sauce! I am sure it would be absolutely delicious in potato au gratin… yum! This is the ultimate comfort food, Ceara. So cheesy, creamy, and delicious. 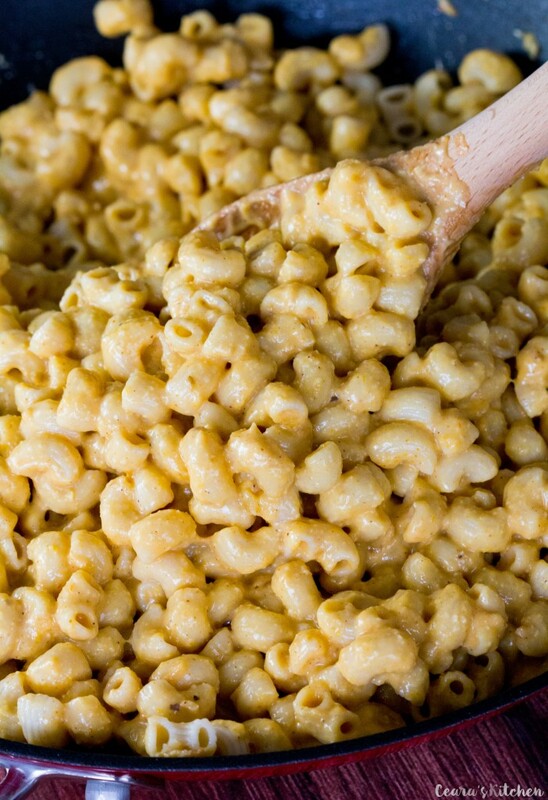 Who says you need dairy to make a fantastic mac n’ cheese? Gotta love a good mac and cheese!! Pasta is simply the best isn’t it?! Another potato version of mac & cheez! I so need to try this. Now that looks like a good mac n’ cheese. I love the addition of panko breadcrumbs and paprika. Smoked paprika is my all time favourite spice! This looks so creamy and so delicious!! Perfect comfort food!